ICO's are no different from any other investment, you have to do your due diligence. The process starts with researching the offering and the team behind the offering. The process ends with finding a good price to buy at. I've been asked on several occasions how to analyze an ICO. 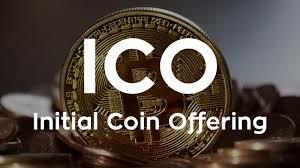 The process of analyzing an ICO is no different from any other investment. First a few reminders: Don't ever invest your money in anything without feeling comfortable with it. I also wouldn't invest in any crypto-coin with money that you can't afford to lose. As much as I like crypto, extreme caution is required in new markets. There are tiers of risk in the crypto-world and ICOs are among the highest because you have no historical data. With that said, let's take a quick look at scams. An incoherent message or purpose. Project sounds similar to others -- you may even find an identical white paper or technical detail being used. Fake credentials and websites -- click on ALL of the links of the website to see where they lead and if they're live. No names or transparency. You want to see faces and those faces should be attached to real people. You can vet people by looking at social media accounts or LinkedIn. Even these can be faked. Keep this list in the back of your mind when going through the analysis process. The first thing you want to look at is the quality of the project. Is it something that looks thrown together, or does it seem like a well thought out idea. Quality is a large category that can be split into others. In general, it refers to the idea potential. Is the road map overly optimistic? What are the merits or features of the token used? Does the coin derive value from the product or something else? How will it be used (for transactions or investment)? How is value created for token holders (staked interest, a % of profit)? How many tokens are being issued and is there a cap on the number of tokens. The Team: This is a group of people you are going to trust with your money. Where have they worked, what have they worked on before, do they have advisers? Are they qualified? You also want to note how many developers they have? Do those developers have profiles on Github? How does the project use blockchain? The value proposition for using blockchain should be clearly stated. Is the market big enough to benefit from the new technology or service provided? The start-up is going to have to unseat others in the market -- can they do that? Browse social media to see what people are saying. Can you pick up a general feeling about how people in the community feel about the ICO? I tend to shy away from ICOs backed by celebrities. I never buy an ICO endorsed by a bank or government (Venezuela excluded). If I do pick them up, it's after the "pump and dump". Check to see how much the team has already invested. Have they invested their own money in the venture? How much money does the total project need? I'm not fond of pre-sales, but if there is one I want to know how many offerings will take place. I also want to know what the allocation process will be. If you can get to this point, you can progress to the next step: technical analysis. Technical analysis is difficult without historical prices, but there are some tricks. Now that you know what you want, accumulate low. You want to buy at pre-pump prices. There are a group of ICO buyers that like to buy and sell into the pump. They have no intention of holding. Once these guys bail, where is everyone going to hang out? That's where you need to place your order. Look for the buyer with the largest order at these prices and place your order just before theirs. You also want to monitor the number of coins in circulation during the ICO. Distributed coins shouldn't be for more than 40%. Too many is a sign of a dump. Wait and pick up on pre-pump prices. How Is Silicon Valley Preparing For Mass Automation? "Most humans won't have any saleable labor in the future", said one ex-techie in the video below. "Techies can see that the future is coming and they are reacting to that future". What is that future: automation. The result is a big rise in unemployment and it has some folks in Silicon Valley "terrified", especially people with money and/or resources to lose. One venture capitalist in the video below refers to what's coming as the new French Revolution. This is an enlightening video about how some ex-Silicon Valleyers, the coders of automation, are preparing for the next 20 years. What do they fear: biological weapons, nuclear war, economic collapse. Even though techies are buying $500k bunkers and guns like the stereotypical "doomsday prepper", they are also doggedly focused on "quality of life". Many of them view what's coming as the "new economy" rather than "the coming apocalypse". Perhaps the most persuasive aspect of the "techie prepper's" argument is that unlike the typical "doomsday prepper", these are the men and women that were hired to create a program for the average American job, which is to say they know what they're talking about. In other words, if the guy sitting next to me on the plane is scared, I'm ordering a drink. If the flight attendant is scared, I'm ordering two drinks, reading the emergency manual and saying my prayers. Translation: A techie warning about the impact of automation is far more reliable than the average guy sitting next to you on the plane, even if that guy claims to have biblical proof (prophesies always tend to be off by a few years). So who's the pilot of the tech world and what's s/he got to say about flight status? There are many noteworthy pilots in the tech world, but Elon Musk is among the best. Here's a quick clip on what he thinks about the impact of automation. This is a data driven response to a fair question about the impact of automation around the world. His directness is both refreshing and startling in its implication. What I like about the tech version of the coming "apocalypse" is that it is surprisingly optimistic. Instead of scripture, prophecy or fake news, techies are basing their prediction on data. They know that what's on the other side of the hump is a time period when people are not valued for their work. For some this is a terrifying prospect, even for the techie, but for others it is a kind of Eden. To gain value from your own self-betterment and the betterment of mankind is both noble and obtainable when much of the work is being done for you by machines. Now, we just just need to reclaim the stolen wealth accumulated by central banks -- enter crypto -- and use that as the basis for universal income. Final Thoughts: "Prepping" for the future brings together two profiles often depicted as being diametrically opposed. This unlikely coalition is starting to form the backbone of a movement. And, this notion that techies are somehow responsible for the downfall of society is as ridiculous as blaming war on the soldiers that fight it. Automation is an inevitable conclusion to market demand.